Joyful Heart Learning is an extension of Hubbard's Cupboard and contains lessons that are available for purchase. Some are refinements of the free lessons here at Hubbard's Cupboard. Other resources are brand new and are only available for sale (such as Joyful Heart Spelling Skills, CVC Word Work, etc.). Joy to the Heart is my personal blog in which I try to catch more glimpses of joy in the everyday. I am not a daily blogger, but when I do find time to write, I try to keep it real and focus on the heart issues. You'll find me sharing about homeschooling, life with kids, my faith, and missions. This is the Hubbard’s Cupboard fan page. 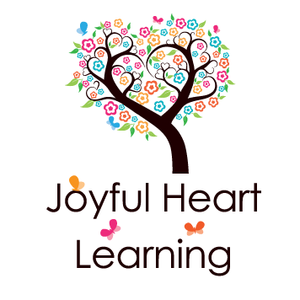 Come share how you are using resources from Hubbard’s Cupboard or Joyful Heart Learning! This is our family’s blog about our journey in missions. We are fairly new missionaries with Wycliffe Bible translators. No, we are not Bible translators, but God has given my husband over 17 years of work experience and training that he can directly use in refining and developing language software that translators use in the Bible translation task. We are excited to begin the work that we believe God has called us to do on behalf of the Bibleless.